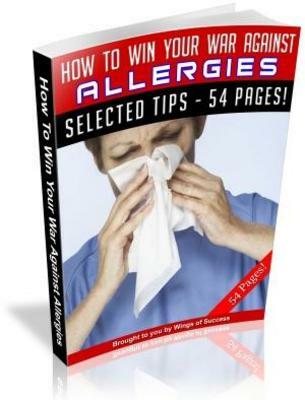 The best way to help a friend or family member who is suffering from allergies is to gift them a copy of the eBook, How To Win Your War Against Allergies. This well-organized, 54-page eBook explains allergies in simple language. Its useful pages include a load of tips on how to get rid of any allergy you might be suffering from. This is the best book for those who desire an allergy-free life.